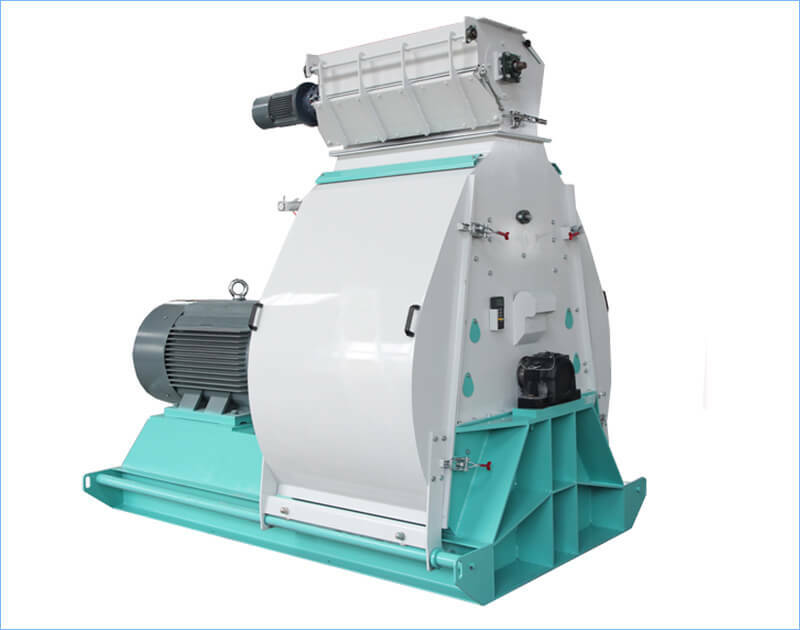 Waterdrop feed hammer mill, the ideal grinding equipment in fish feed production, gets its name due to the waterdrop structure of grinding chamber. This hammer mill is widely applied in grinding various grains such as corn, broomcorn, wheat, barley, bean and ground cakes and etc.. 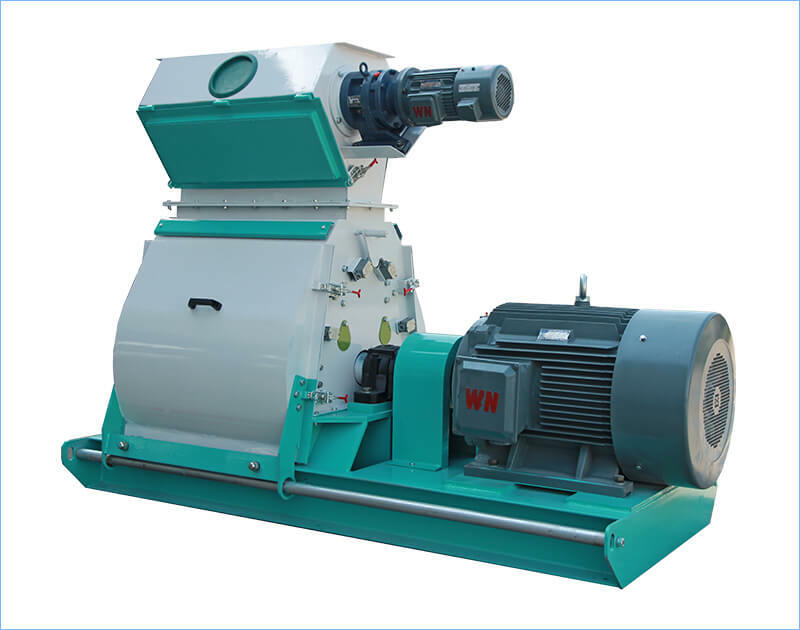 The final particle sizes smashed by waterdrop hammer mill are characterized by uniform fineness, which greatly benefits pelleting or extrusion process. Featured with efficient grinding, stable performance and popular price, Azeus waterdrop feed hammer mill is favored by large and medium sized feed plant, food processing enterprise and so on. 6. Scientific and reasonable hammer arrangement and reasonable gap between hammer blades and the screen, ensure uniform fineness of finished products, little vibration and high productivity. 7. There are two groups of pin holes on the rotor disc, uniformly distributed on two concentric circles of different diameters, by which coarse and fine grinding can be achieved. The grinding chamber with the waterdrop structure has expanded the grinding space, thus the capacity and grinding efficiency will be improved. It can also well avoid the material cross-infection during pulverizing process. The blade arrangement optimization refers to increasing the working efficiency by adjusting the number of the blades and the distribution of the blades. With the optimized blades arrangement, the working efficiency has increased and the energy consumption has reduced at the same time. The final size is mainly controlled by the use of screens. Any material that enters the grinding chamber must be reduced to a size below the diameter of the screen holes to pass through the screen. You can control size reduction through inserting a screen with different sized holes. 1. Since the date of purchasing, we guarantee the product quality for one year, except for the easy wear parts. 2. Our engineers could provide technical services. 3. We provide you with rich detailed product information, helping you to understand the product clearly.